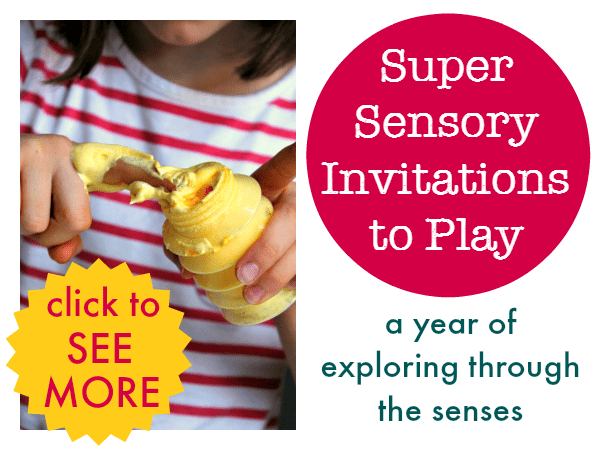 Art for kids can be hands on fun with the simplest of ingredients. 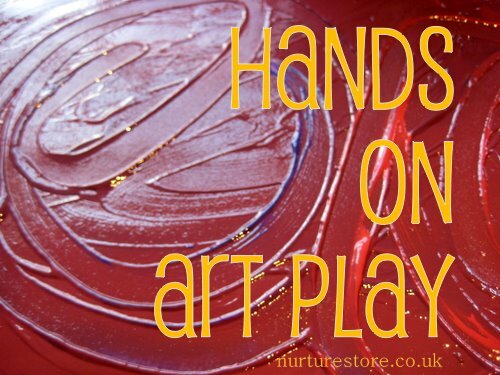 My girls find it so hard to resist putting their hands in the paint, so why not encourage it and let them enjoy some sensory play. Try these suggestions to add in some maths and literacy play too. We use pieces of card for this hands-on art, as paper will likely fall apart. We used washable ready-mixed poster paint as we wanted the paint to easily clean off everyone’s hands when we’d finished. We covered the table, floor and the kids’ clothes, and then we could all relax about getting a little mess and enjoy ourselves. If this is still a messy step to far for either you or your children – as not all kids like to put their hands right in – you could try putting the paint (or use hair gel and some colouring) inside a zip-lock bag. You’ll still be able to create patterns but have a lot less to tidy up afterwards. 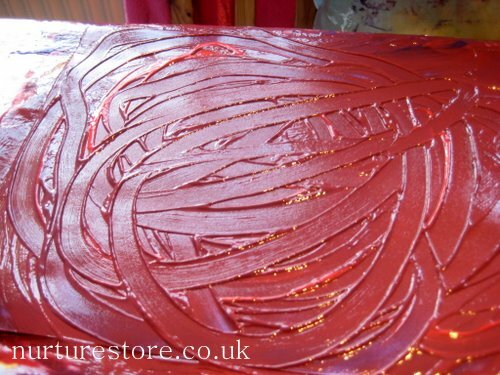 Letting your children free-form patterns in the paint encourages them to explore the texture and see what they can create. My daughter was humming away to herself as she drew: happy, relaxed and thinking. You could try making some pre-writing marks in the paint, copying the shapes which appear in many of our letters: curls, circles and lines. See which mathematical shapes you can make: try circles, squares and stars. 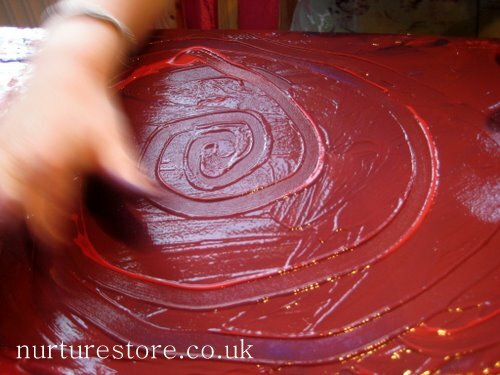 Making spirals that increase and decrease in size is great for hand-eye co-ordination. Or put on some music and see what patterns you an make to match the sounds you hear. Previous article: The number one, best ever tip for kids healthy eatingNext article: Kids Art Explorers: join the new challenge! Wonderful! Love how “just one colour” can look so amazing!